ASK ABOUT OUR ENTRY DOOR SPECIALS! The Area’s Most Award-Winning Residential Garage Door Company! Affordable Door provides professional garage door repair and replacement services throughout Virginia, Maryland and Washington DC. We are locally owned and operated and take pride in offering quality garage door sales and repair services. 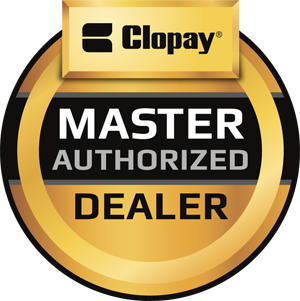 As an Clopay Master Authorized Dealer, we proudly install the full spectrum of garage doors from America’s Leading Garage door manufacturer. We also specialize in the service of all types of doors. That includes replacement of broken springs, broken cables, and repair of garage door openers. As an Authorized Liftmaster Dealer we install the new Wifi enabled openers including those with battery back-up and smartphone compatibility. Serving Northern Virginia, Washington DC, and Maryland. On the repair side, our garage door repair professionals stock and install superior springs and garage door parts. On the garage door opener repair side, we stock parts for Craftsman, Genie, Liftmaster, and other popular garage door openers! Our expert technicians thoroughly inspect your door components and always choose the right equipment for your door. Our goal is to return your garage to safe working order with as little downtime as possible. In most cases, we can take care of installation of openers, cables, springs, and rollers the same day. 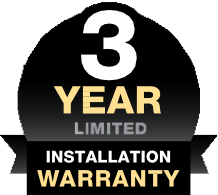 Call Affordable Door for garage door service and repairs you can trust. "No problems at all. I called and scheduled an appointment for an estimate that was done quickly and coordinated with my schedule. I was given an estimate on the spot. I checked other prices and equipment and found the estimate I received was very reasonable. I scheduled the installation which was done again at my convenience. Both new garage door openers were installed, programmed, and tested in a few hours and both have been working perfectly since (almost 3 months)." "They installed garage door openers on two of my properties and then did another property. It was great. They had done a good job for me in the past so I immediately called them when I needed more work done. They are great, and I would definitely use them again." "I used Affordable Door for realigning the garage door. They were punctual and did good work. I would use them again in the future."